Lathrop Homes is a low-rise housing project from the 1930s under redevelopment by the Chicago Housing Authority. 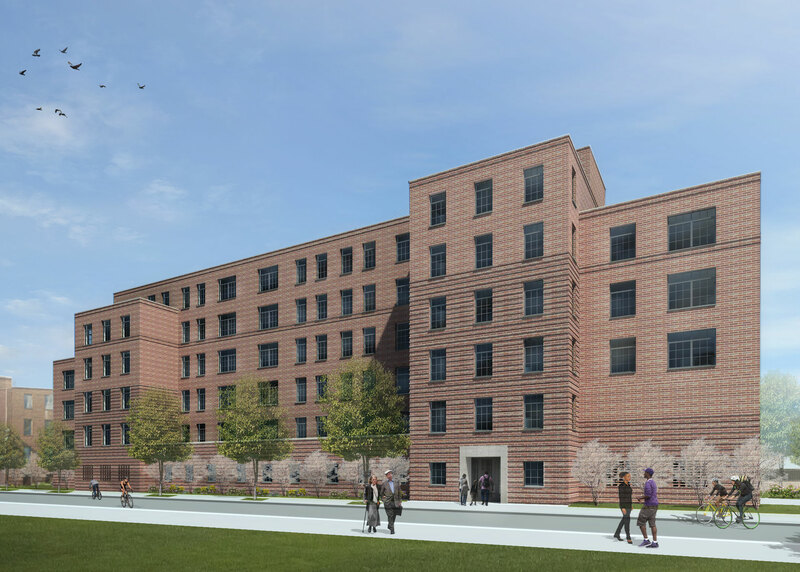 Located on a 34-acre site between the Bucktown and Roscoe Village neighborhoods, the mixed-income community will combine renovation and new structures. bKL is designing two new buildings for this site, as well as renovating the current Administration Building. 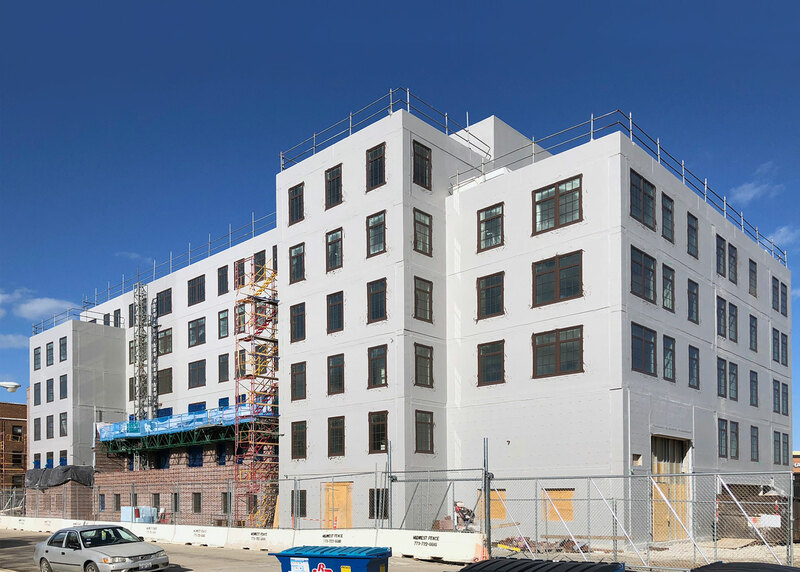 The new 6-story and 5-story structures will be located at the north and southwest corners of Diversey at Clybourn and Damen avenues. The mixed-use complex will include retail to revitalize this historic community, as well as provide over 100 residential units within the two newly designed buildings. The new residential structures incorporate masonry facades designed to maintain the character of the original buildings in scale and proportion. Through the integration of Lathrop Homes’ existing architectural vocabulary, the new structures honor the site in a contextual manner.